Members of the TTPS at a crime scene at St. Francois Valley Road, Belmont. Photo by Angelo Marcelle. Police are investigating the shooting death of a Belmont painter yesterday afternoon. 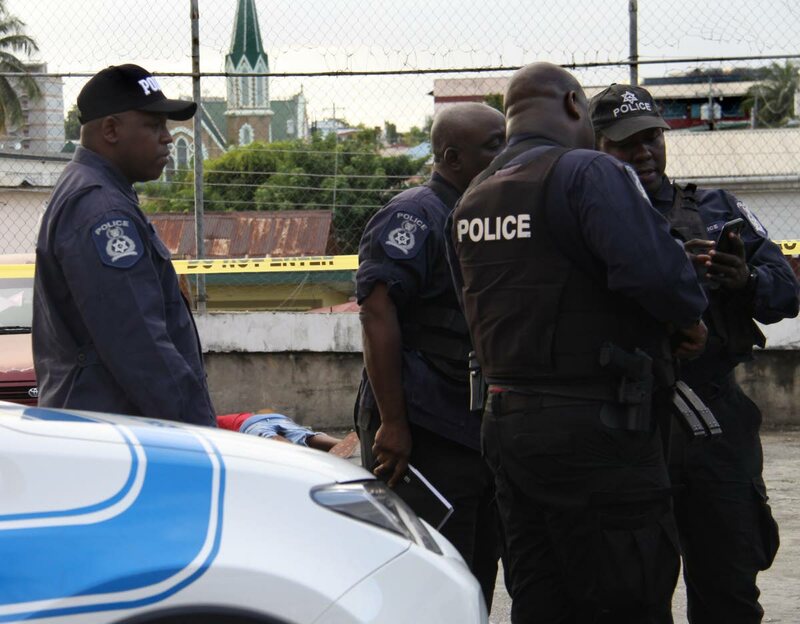 Around 3.30 pm, the victim, identified only as Sherwin, was shot and killed when he arrived at the housing complex, along St Francois Valley Road, Belmont, to paint a tenant's apartment . Residents reported hearing gunfire and saw the man's body face down in the parking lot as another man ran away with a gun in hand. Newsday arrived just as investigators were setting up caution tape. Police said there were no CCTV cameras at the housing complex. The Homicide Bureau Region 1 is investigating. Reply to "Painter shot dead in Belmont"